Apple and Qualcomm have been at each other’s throats for a while now and the tension has finally reached a boiling point. The latter will no longer be supplying modems for the iPhone starting this year. This is a huge deal seeing as how Qualcomm has been a part of iPhones since the iPhone 4S. It used to be Apple’s only modem supplier, but Intel swooped in back in 2016 and took up half the orders for the iPhone 7 and iPhone 7 Plus. 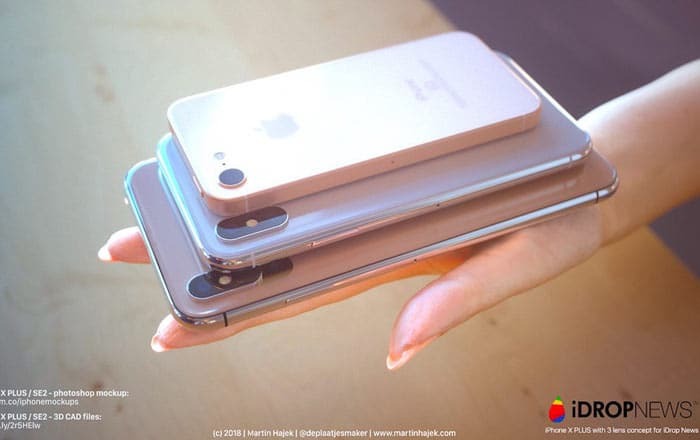 This arrangement continued in 2017 with the iPhone 8, iPhone 8 Plus, and iPhone X. It looks like this uneasy balance is over now. CNET reports that Qualcomm told analysts during an earnings call that Apple intends to only use its competitor’s chips with the next iPhone release. The company didn’t specify which rival the iPhone maker was going with, but it’s fairly obvious it’s referring to Intel. Qualcomm was quick to note that this isn’t a definitive end to its relationship with Apple. It’s out for now, but the pair could always make a comeback. It’s hard to see how this will happen seeing as how bad things have gotten. Both parties are suing each other in various countries for various reasons and it’ll take a while for all that to get sorted out. The last big blowup happened last month when Qualcomm was trying to get iPhones banned in the US. The case is currently being fought over in the US International Trade Commission (ITC). Qualcomm wants Apple to stop selling and importing Intel-running iPhones in the US because they’re violating 6 of its patents. Ookla recently came out with a report showing that the iPhone X was significantly slower at download speeds than its Qualcomm-powered Android rivals. The reason behind this is that Apple actually throttles its Qualcomm iPhones so that they’re on par with its Intel ones. Apple won’t have to do this in 2018 now that it’s probably sticking to Intel. The chipset maker has a brand new XMM 7560 modem which can hit download speeds of 1 gigabit per second and support both CDMA and GSM.